Our company is known for the way it looks after customers. We are proud of the feedback we receive from satisfied clients and for our expertise and the fact that nothing is ever too much trouble. With an average length of service over 12 years Bournes people enjoy their work and are committed to their personal responsibility for providing great service. 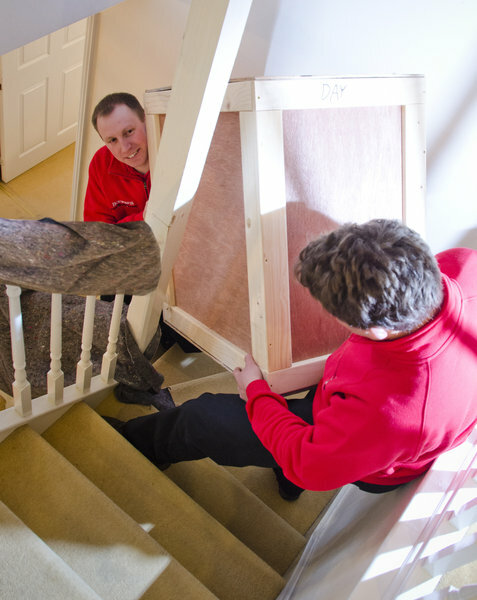 Our staff are experts in their field and have at their disposal leading move management systems, flexible, extensive physical resources and a vast range of moving services that mean we can meet the individual needs of our customers every time. Today Bournes combines modern technology and and online systems with traditional service concepts that we still believe in, service with a smile. I was impressed with Bournes from beginning to end - the sales team were great and gave me a competitive quote. The guys arrived spot on time and packed everything efficiently. The move all went very smoothly and the team was professional, helpful and friendly. Can't fault them at all! 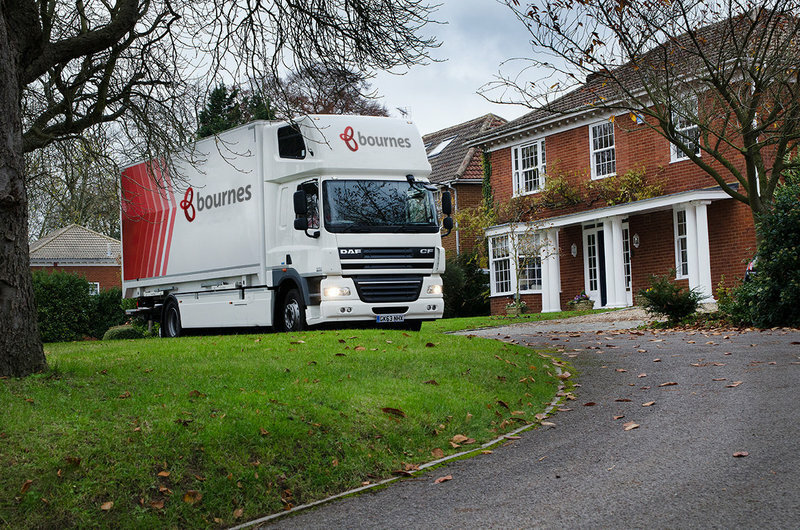 Bournes removals arrived on time, we’re very polite and packed up my house speedily. They took great care to wrap up my ornaments and moved all the large furniture without damaging anything. They were a really cheerful and courteous crew and I would recommend them to anyone. The removal was arranged at short notice; it went smoothly and on time. The move was efficient and fast. The crews both in England and France were fantastic, helpful and friendly. What could have been a nightmarish move turned out to be relatively easy. This is the second time we used Bournes and we would certainly use them again if we decide to move back to the UK. 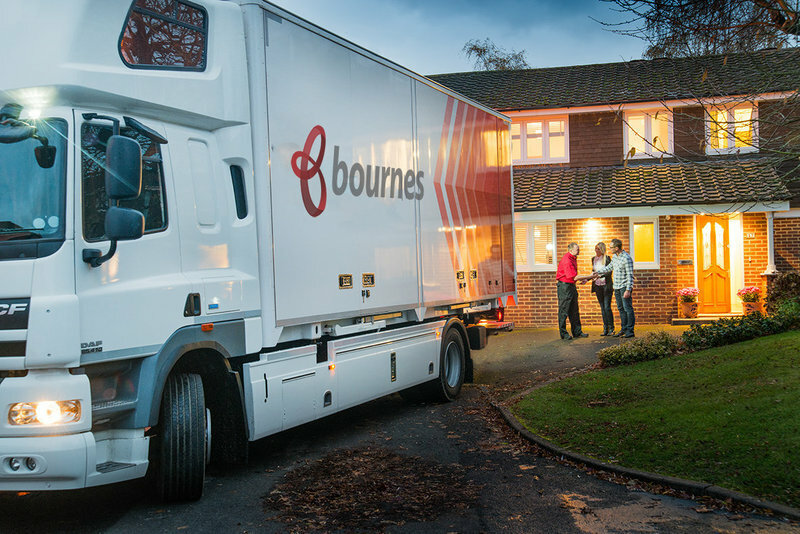 We are sopleased that we chose Bournes as our removal company. All staff were professional and helpful at every step: none of our questions were trivial. The removal teams (we moved two properties into one) were courteous, hardworking and put us at ease during the, what could have been, very stressful time. We are very pleased to have chosen such a professional company to move us. Thank you so much for taking the time to leave us a review Mandy! We're so pleased you had a great experience with a challenging move. We'll make sure to pass the feedback back to the team and hope we can be of service again in future if ever you need us. Best wishes in your new home. Everyone we dealt with was very professional. Keith was the guy who came first - honest, straightforward who gave us the confidence to trust what he was saying. He gave us a competitive quote too, which is what we paid in the end - no extras. We would choose Bournes again and would strongly recommend it to everyone. This move was over two days in smaller vans, because if narrow difficult access to the destination. The team was lovely and mainly very competent and experienced. Apart from the usual family ‘stuff’ , we have some unusual items of furniture, pictures and books++. Nothing fazed them...they did not complain about anything, even concrete garden items, stone slabs etc! I think that they were pleased though that another company was moving the pianos! One item was broken, so one star below the maximum. A very good job, thank you so much. Moving after 32 years in the same house was a daunting prospect, so my wife and I were not relishing the thought. As it turned out, however, things could hardly have gone more smoothly as regards the move itself. The four guys involved were all hard working, efficient and friendly and clearly keen to do a good job for us. Thanks to all of them and to those on Bournes’ admin side too. What could have been very stressful was made so much easier by Bourne's. With only a week between exchange and completion they did everything possible to alleviate the pressure and potential chaos of moving. Even coped with 3 over excited dogs thrown into the mix. Polite, cheerful and efficient. Nothing broken or missing. A touch pricey, but worth it for their services. Initially great communication. I asked a lot of questions. Difficult to co- ordinate completion date in London with entry date in Scotland 6 days later but it was well organised. My belongings were protected. All my art work including large canvases treated with care. Nothing was damaged.Nothing was too much trouble. All staff were friendly and put me at my ease especially Graham who drove the lorry up to Scotland. Excellent service at every stage. An absolutely amazing team. Would 100% recommend Bournes to anyone looking to move. Great customer service throughout and the team on the day were phenomenal. Moving can be stressful but these guys definitely took some of that stress away with their hard work and patience and, for that, I can't thank them enough. Wow thanks for the lovely words Nicole, so glad we could help make moving a little easier for you. Best wishes in your new home!